If you don’t think you like sweet pickles, give these homemade Sweet Refrigerator Pickles a try. They’re great for a quick crunchy snack and excellent on top of hot dogs fresh off the grill. Toasted bun. A little mustard. Is your mouth watering yet? I normally do not care for sweet pickles. They’re too… sweet I guess. I can’t just bite into a whole sweet pickle. I prefer dill. I do like sweet relish on my hot dogs, though. And, of course, I love snacking on these Sweet Refrigerator Pickles. I wrote in my Corn Soufflé post that I grew up surrounded by corn and pickles. 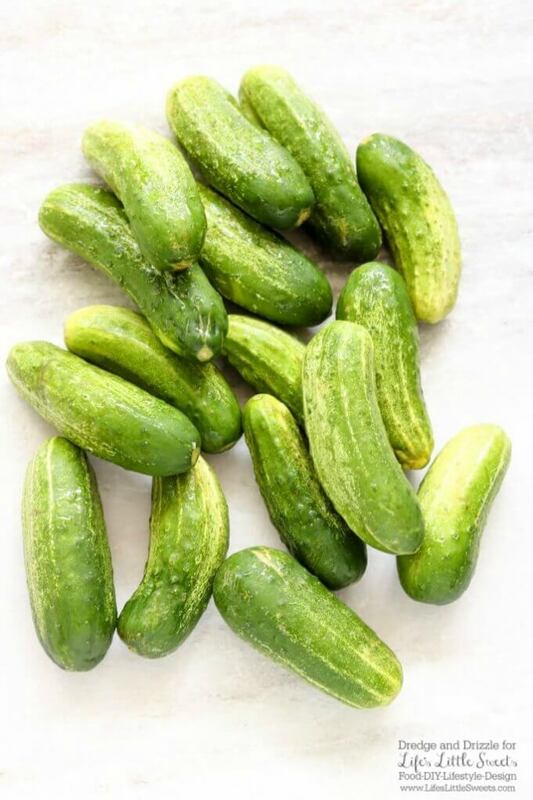 I guess I misspoke since the baby cucumbers aren’t pickles until you pickle them! I “picked” up these beauts from the local farmers market. We have a few of these markets in Jacksonville and I don’t mind driving a bit to get to them because the produce is fresh, local, and cheap. It’s also the only place I can seem to find genuine Thai basil. If you don’t frequent your local farmers market, I would highly recommend at least checking it out. This recipe is adapted from my dad’s. He loves to make Sweet Refrigerator Pickles and dill sun pickles. He also loves to drop jars off to different people around their small town. He’s friendly like that. 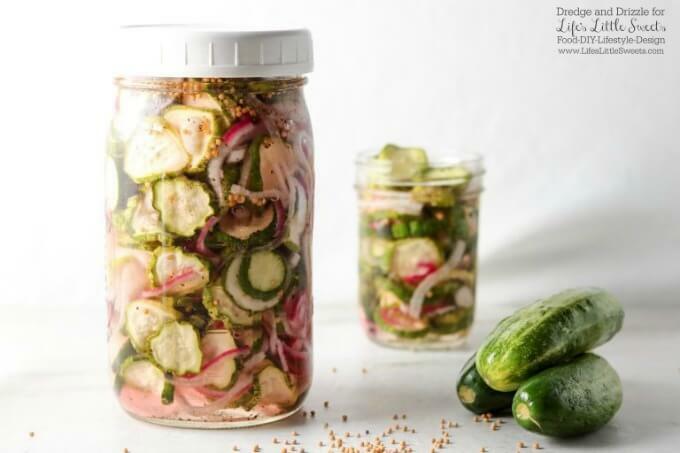 What’s really nice about these Sweet Refrigerator Pickles is that you don’t even need to use the stove. You basically just mix the ingredients, let it chill, and enjoy! 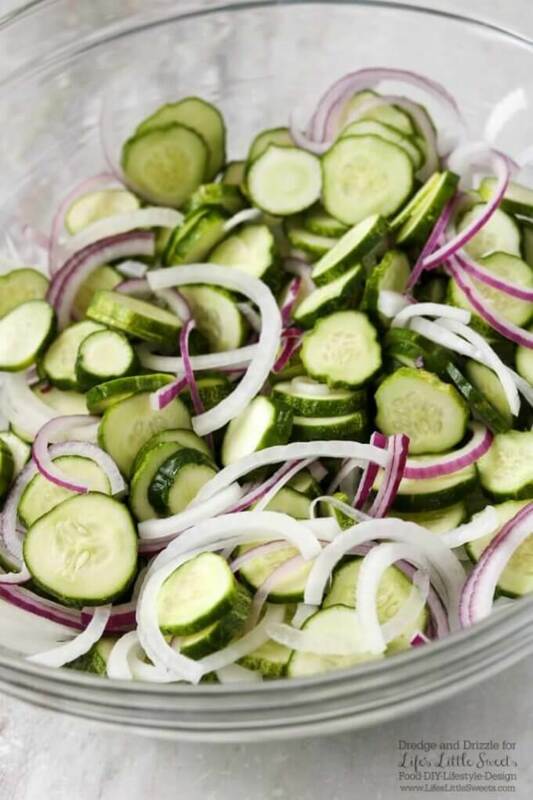 Thinly slice the cucumbers and onions and place in large mixing bowl. In another large mixing bowl, mix the sugar, vinegar, and salt and stir until dissolved. Pour the liquid mixture over the cucumbers and onions. Add the mustard seed and celery seed and stir. Refrigerate for an hour, stirring occasionally. 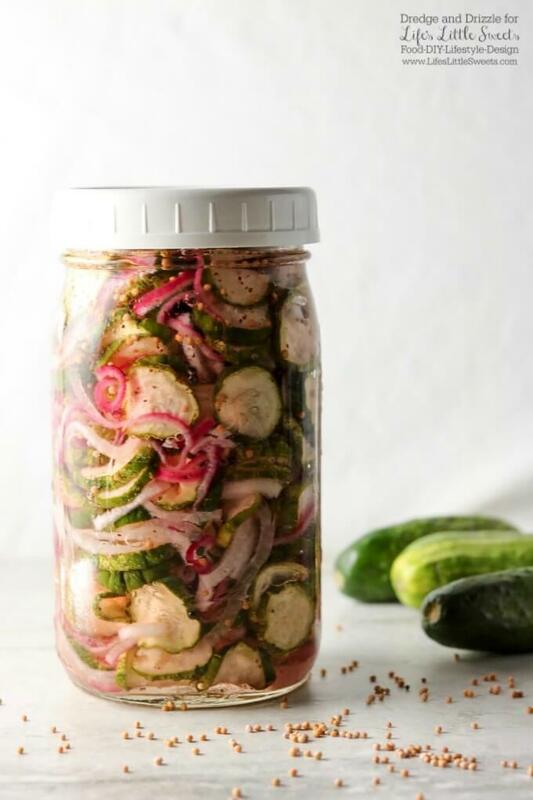 Using a slotted spoon, spoon pickles and onions into mason jars. Pour enough liquid into the jars to cover the pickles. Refrigerate. Will stay good for 9-12 months. Chill time is 1 hour. Your pictures are stunning! I love this recipe, can’t wait to try it at home! 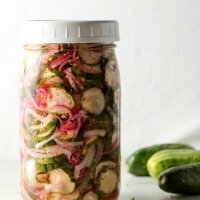 My kids go nuts for the pickles I make from scratch, so I try to switch things up and try different recipes to keep them guessing! Thanks for sharing! Thank you! Let me know how they like them!